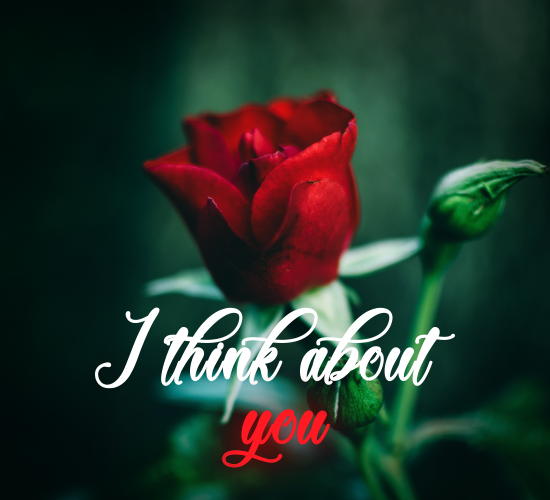 I Think About You - With Red Rose. You think about her, tell her. Today, Tomorrow & Everyday I Love You! A perfect romantic ecard to express your love to your sweetheart! A sweet verse to express to the one you love how important they are to you. Wishes For The Special One You Love. Send this card to conquer the special one you love.